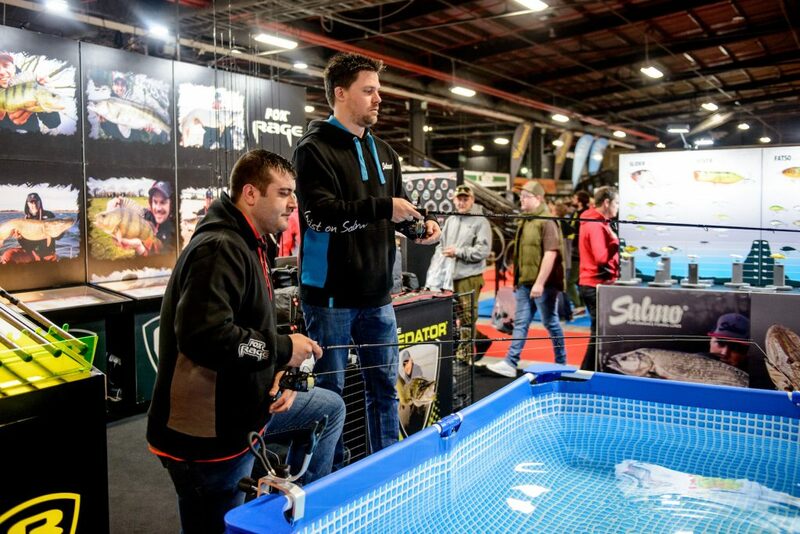 Launched in March 2013, the Northern Angling Show plays host to over 14,000 attendees who are there to see 150 exhibitors and appearances from some best known figures in the fishing industry. The growing Manchester based trade-show, which held its 5th show at Event City the start of April, is the brainchild of Nick Maddix and two close friends who wanted an indoor angling event that they didn’t have to drive 4 hours south to attend. EG.) How did you find Entry Genius? Was it easy to set up your device, download your data and keep it up to date with the latest tickets? NM: Entry Genius couldn’t be any more straightforward which is exactly what you want as the doors open for your event If you can use a smartphone Entry Genius will be second nature. EG.) Was it handy to be able to keep the event on sale after doors had opened? NM: This was a great feature for us. On the event day, some potential visitors were unsure if tickets were available on the door, this feature allowed them to purchase before setting off. EG.) On the day of the event, as a % how many ticket sales did you make online vs. in person? NM: We sold approximately 4% of our on-the-day tickets online. EG.) How would you describe Ticket Arena’s / Event Genius’ client services and Account Managers? NM: First class. Helpful, knowledgeable and full of advice and suggestions to improve your ticket sales strategy – genuinely couldn’t ask for a better team. EG.) What do you like about Event Genius’ online tools and platform? NM: A straight forward easy to use platform that anyone can use. Backed up by a knowledgeable team that will explain and advise with all aspects of the platform. If you’d like to read more about how our customers rate our services and products, please check out our Case Studies page.